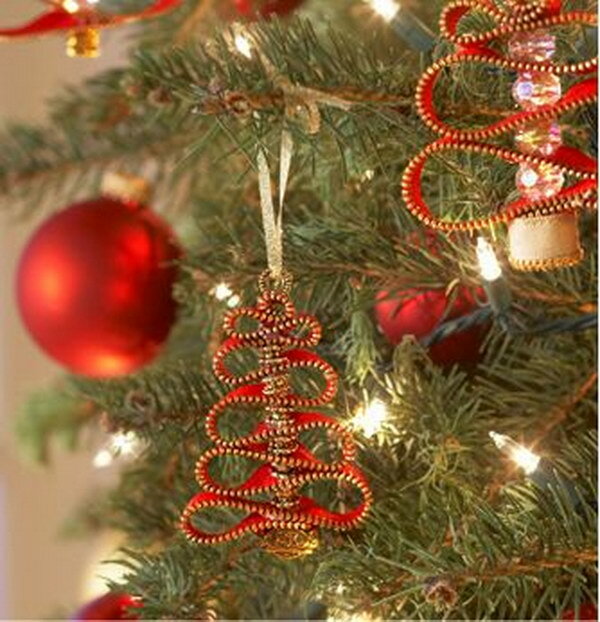 This is the season for Christmas ornaments and decorations! Unique Homemade Christmas ornaments give you a chance to express your creativity and it can be a lot of fun. If you looking for ways to create beautiful Christmas ornaments, then there are some DIY Christmas ornament ideas & tutorials for you to follow. 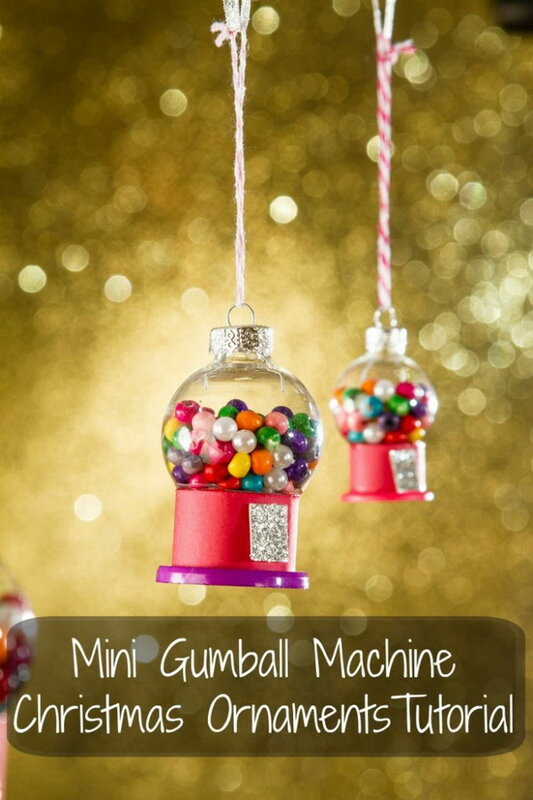 These adorable Gumball Machine Christmas Ornaments are so EASY to make in just a few minutes. You use them for your Christmas tree decoration or as holiday gifts for everyone on your list. Tutorial via gretas day. 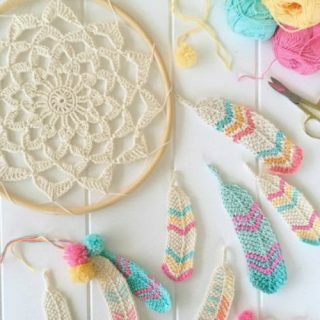 A fun and easy holiday project for the crochet lovers. 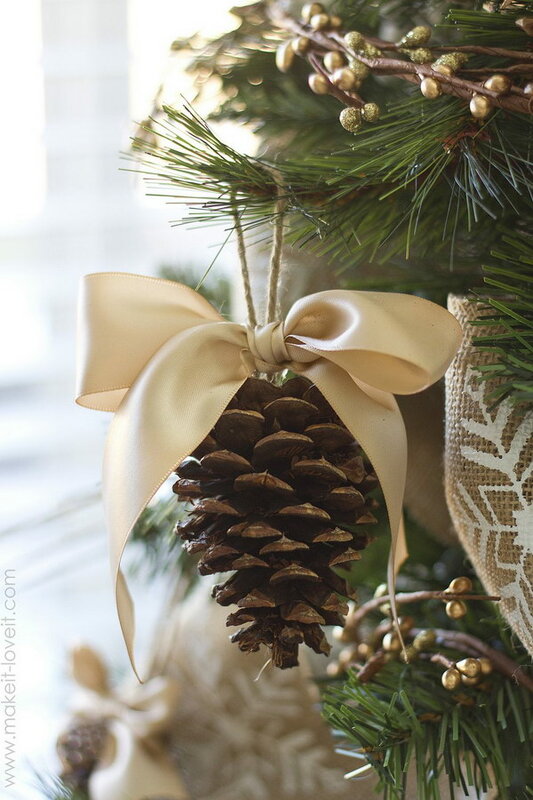 Hang on your Christmas tree for a rustic feel this holiday! See the tutorial via blog.darice. See the tutorial via a homemade living. A quick and easy handmade ornament to hang on the Christmas tree or use as a holiday gift! See the details and tutorial via uncommon designs on line. All you do is to hot glue birch discs from the dollar store in to a circle and then add a little flower and some berries. A perfect handmade ornament to personailzed your tree this holiday! Full tutorial via thrifty and chic. This ornament is more time and effort intensive. But it turns out to be very festive, fun and full of sparklenon your Christmas tree! Get the steps to make it via caught on a whim. 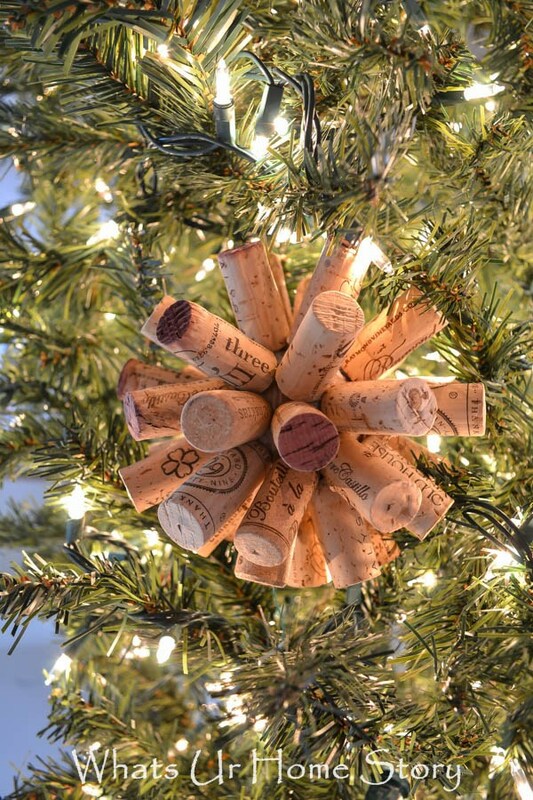 Recycle wine corks into this stunning and chic craft to personalize your Christmas tree! Tutorial via whats ur home story. 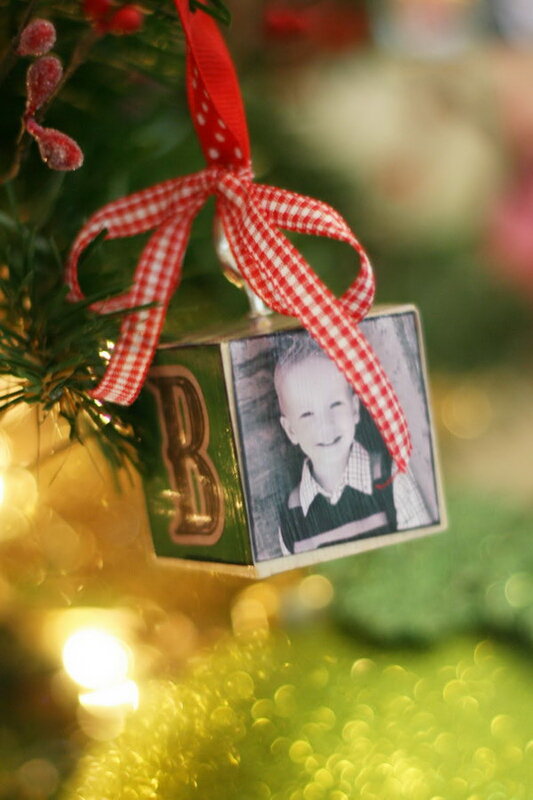 Use your children’s photos to personalize your tree! Get the supplies and tutorial via Dear Crissy. 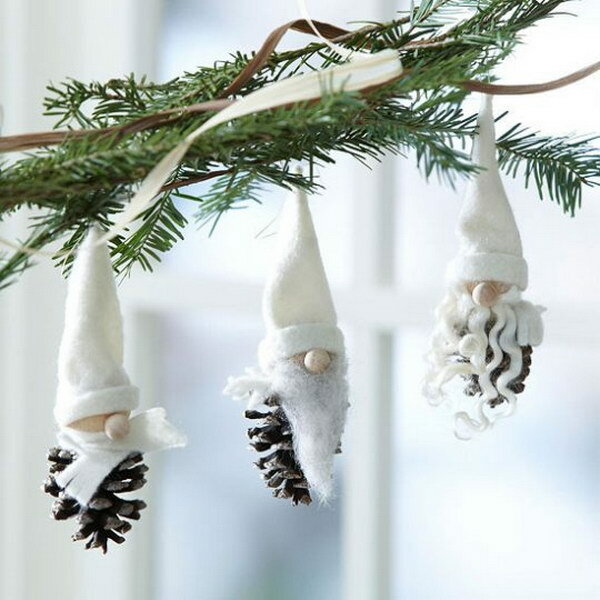 These pinecone gnomes ornaments are SO cute and adorable! Check out for the steps to make it via bhg. 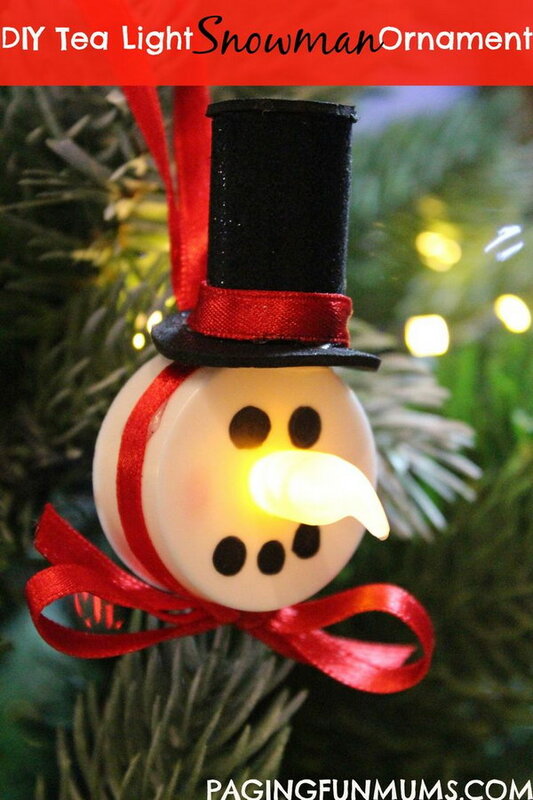 These cute ornaments are so easy and quick to make! You can easily make an entire family of snow-people for your tree or to give to others as holiday gifts. Easy tutorial via tatertots and jello. 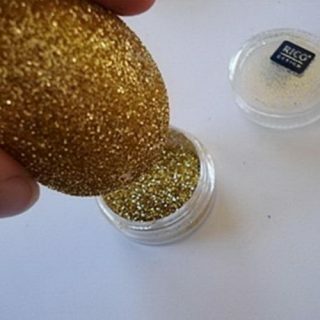 Another easy but stunning Christmas ornament with glitter and glam for your holiday inspiration! Via debbie-debbiedoos. 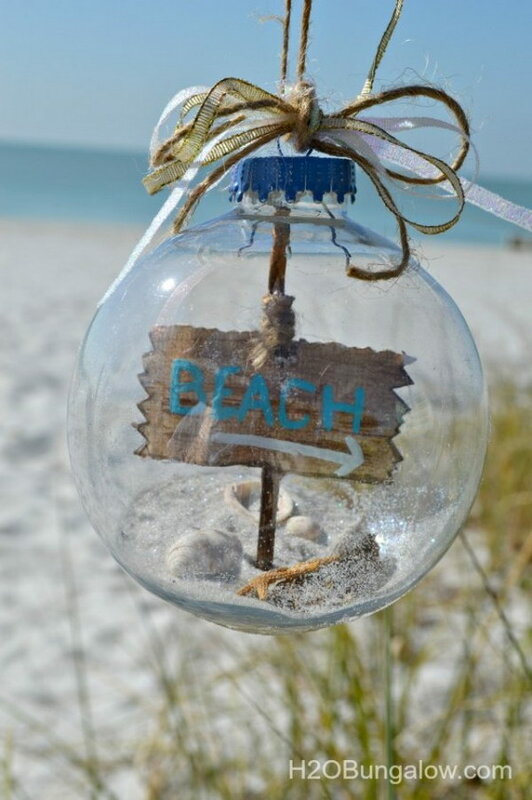 DIY beach themed christmas tree ornament with sea shells, sand and starfish inside. Details via h2obungalow. Use shiny gold alphabet stickers to make these beautiful personalized Christmas ornaments for your tree! See the tutorial via pizzazzerie. 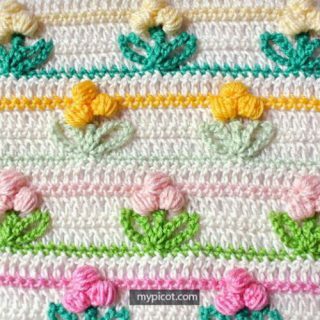 See the detailed tutorial via factory direct craft. DIY Kid’S Fingerprint Ornament. See how to make it via the happier home maker. Add more rustic charm to your Christmas tree with this birch initial ornament. 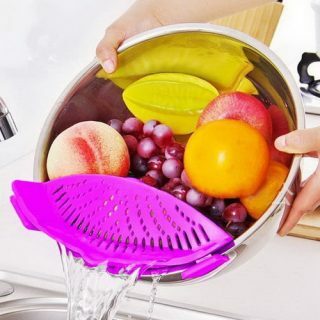 See the steps to make it via shanty-2-chic. See more details via joyzz. Simple and fun to make for kids! Just put image into clear plastic bulbs and add some shiny turquoise confetti. You can have this lovely ornament for Christmas! See the tutorial via mendezmanor. 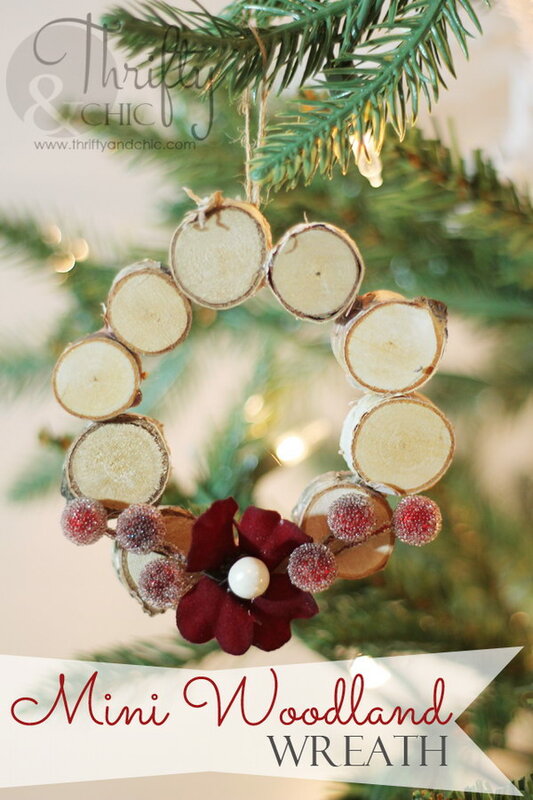 See how to make this adorable and stunning ornament via pagingfunmums. 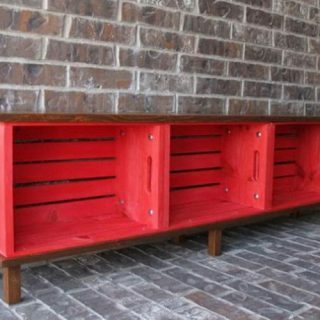 Love the simplicity of this DIY project! 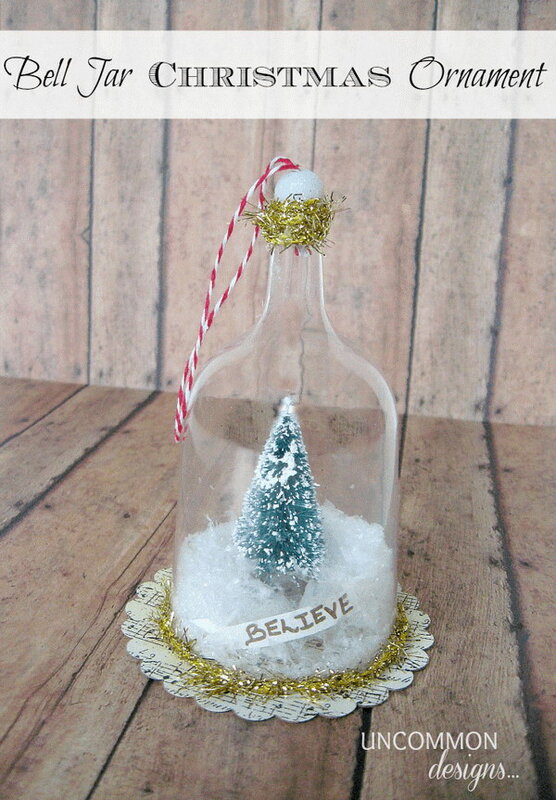 Add a touch of shabby chic to your tree decoration with this one! 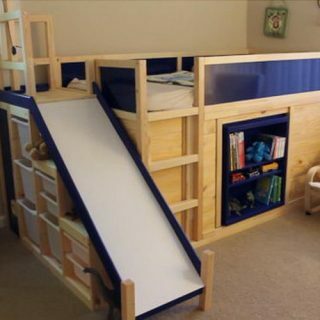 Via Make It & Love It. Make a Christmas wish list ornament like this. 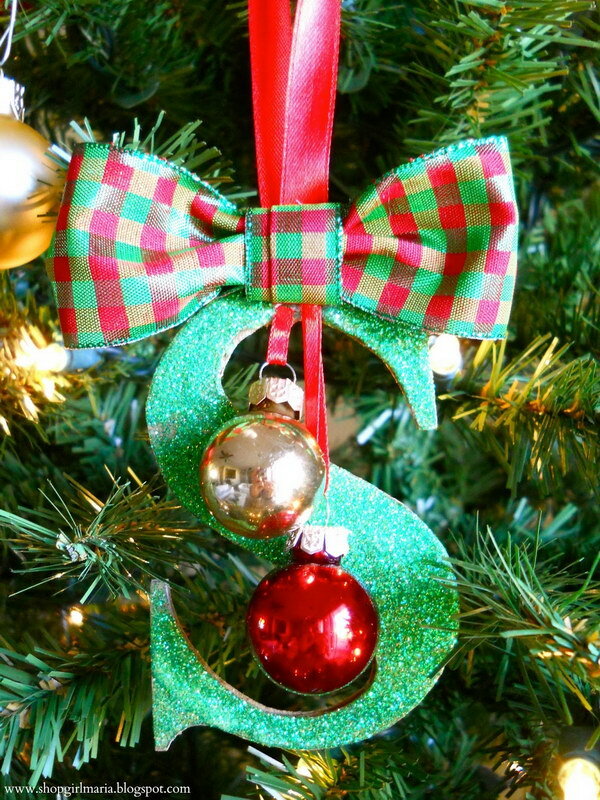 Super cute on your Christmas tree! Easy steps via Honey Bear Lane. 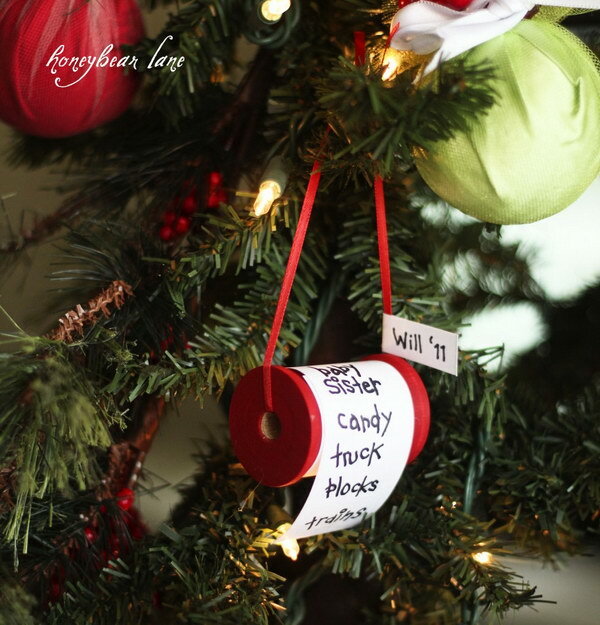 Turn a $1 wood blank into a personalized Christmas ornament in just a few little steps! It can be also a simple little holiday gift! See the steps to make it via just a girl and her blog. 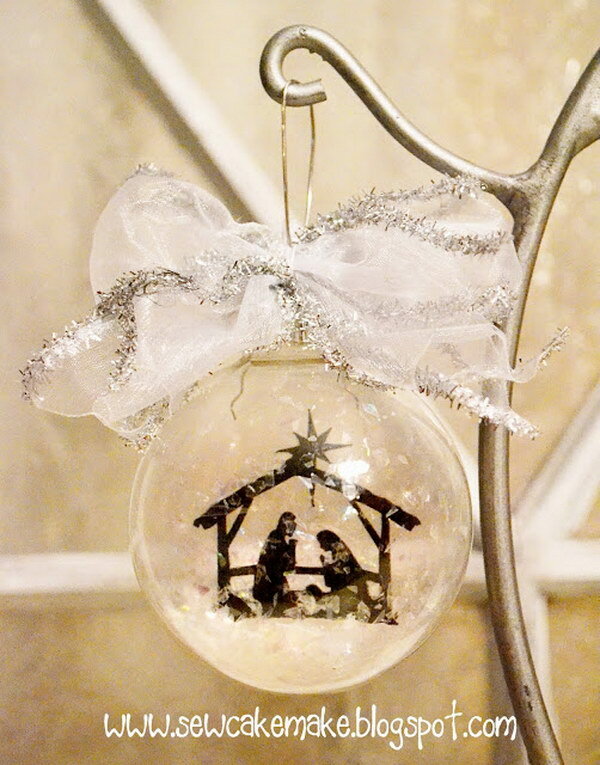 Make this cute Frozen Christmas Ornament with just a few craft supplies, like glass ball, glitter, floor polish, printed cutout, snowflakes and modge podge. A great Christmas craft project for kids of all ages! Tutorial via two sisters crafting. 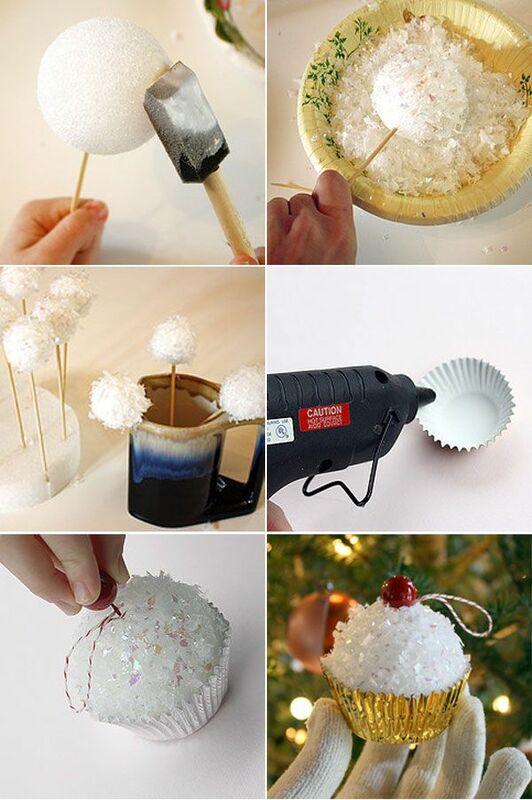 DIY Paper Ball Ornaments. Just love how simple them are! Easy and quick steps via Nalles House. 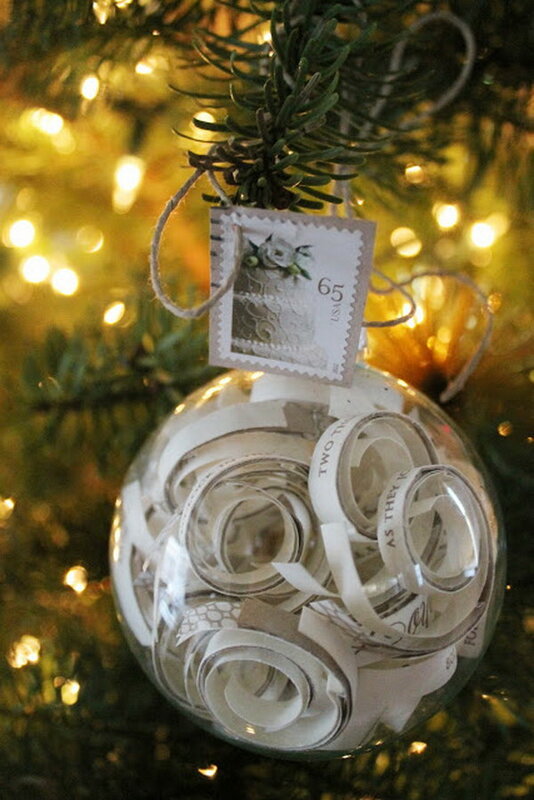 Cut each line of holiday wishes, then curl and place in glass christmas bulb, add tags. 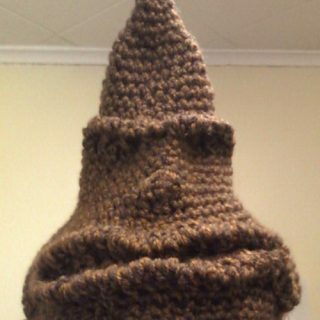 Easy and unique Christmas ornament idea. Tutorial via a bit of bees knees. More details via sew cake make. Use your loved ones’ photos Mod Podged to blocks to personalize your tree. Tutorial via the crafting chicks. Easy DIY ornament that’s perfect for that vintage holiday feel! Steps via uncommon designs on line. 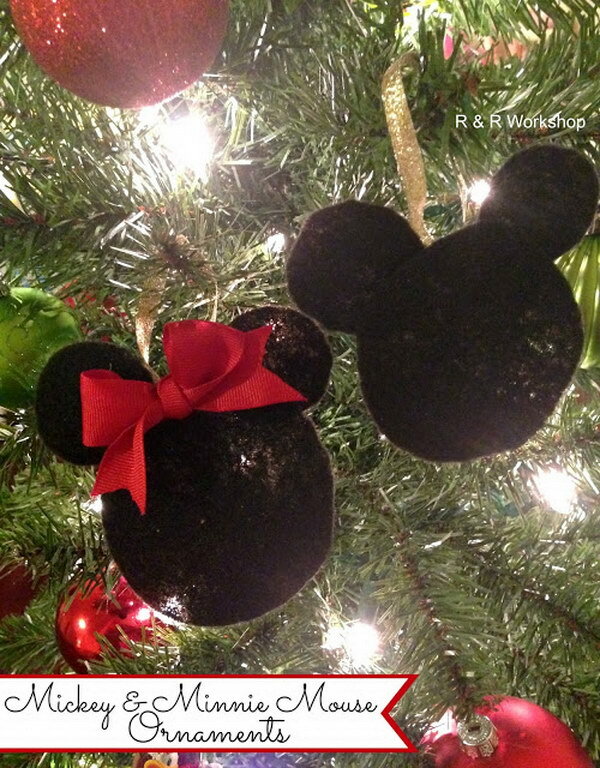 Make this cute Mickey And Minnie Mouse Ornament with just a few craft supplies. A great Christmas craft project for kids! Follow the easy steps via Rand Work Shop. 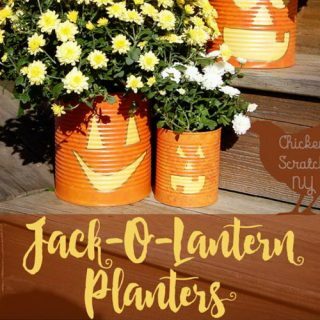 Follow the easy steps via apumpkinandaprincess.